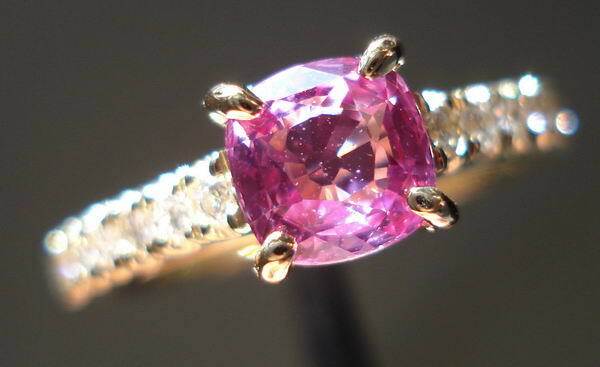 Here is a gorgeous sapphire and diamond ring. The sapphire is a perfect square shaped cushion cut. The color is so vibrant and beautiful -- electric in color. It is very hard to keep your eyes off of this stunning stone. The setting is stunning in itself as well. 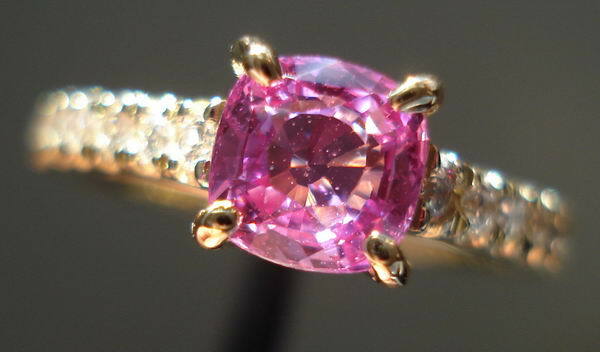 It is a nice substantial ring, yet very feminine looking. 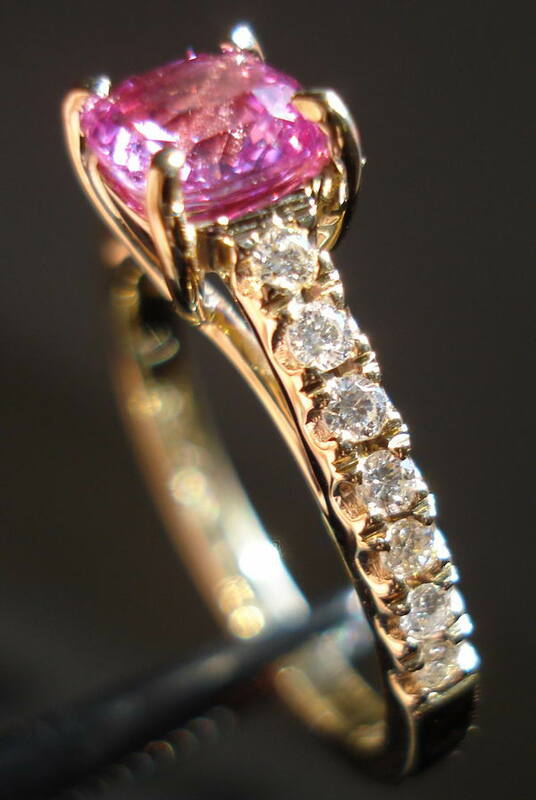 I think the width of the shank where the diamonds are is in perfect proportion to the sapphire. Combined this makes for a gorgeous ring! 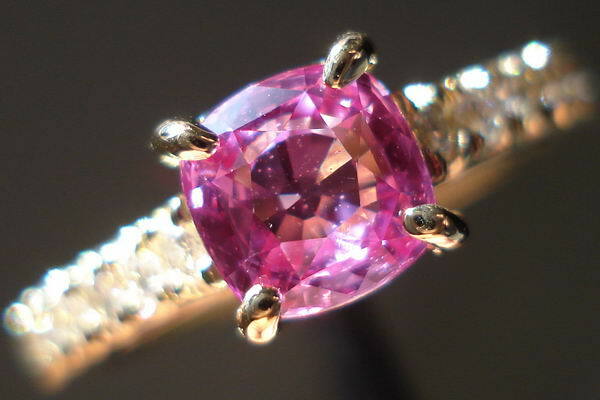 Many Natural Sapphires, are heated during the cutting and finishing process. We are unsure about this stone, but we are saying it is heated to be safe.